Sometimes it can seem like finding the perfect honeymoon destination is just as complicated as finding true love. When he wants beach and she wants mountains, it can be a recipe for the first post-marital meltdown. But no need for that! We’ve gathered some of our favorite destinations for the ultimate honeymoon. 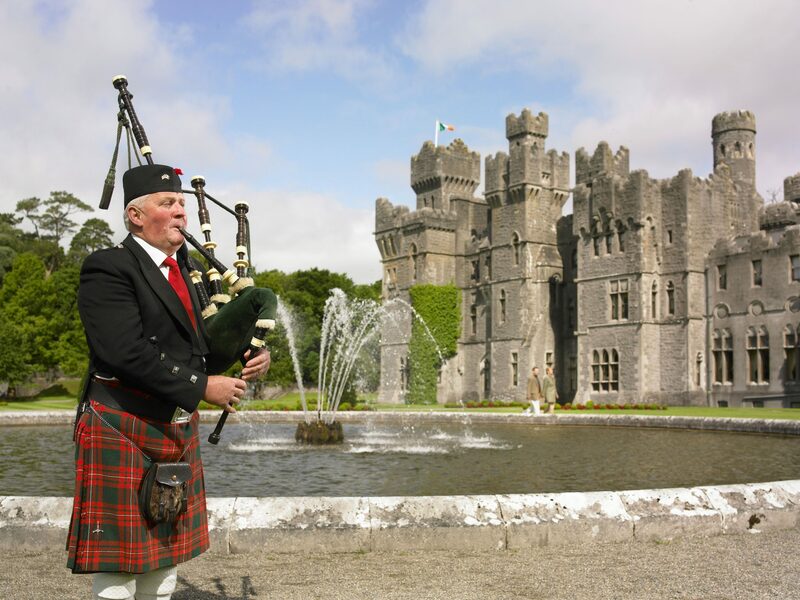 Nestled in the Irish countryside, Ashford Castle is a centuries old estate that is serving up equal parts history, luxury, and whiskey. Treat yourselves to a couples massage at the spa, enjoy a sunset boat ride, or simply curl up by the fire. No matter how you spend your time, there is nothing cozier than being tucked away in a 13th century castle with your better half. Book your stay in Ashford’s Hideaway Cottage. The former boathouse now serves as a private villa perched against the lake and is surrounded by private gardens. Hidden away from the rest of the estate, the Cottage offers more privacy for lovebirds who value a little alone time. The couple who wants a little R&R. Sasaab allows guests a chance to come face-to-face with Mother Nature from the comforts of a warm and intimate camp, complete with exquisite cuisine and five-star service. The open air, tent-style rooms marry Moroccan and Swahili design elements and come with their own private plunge pool. 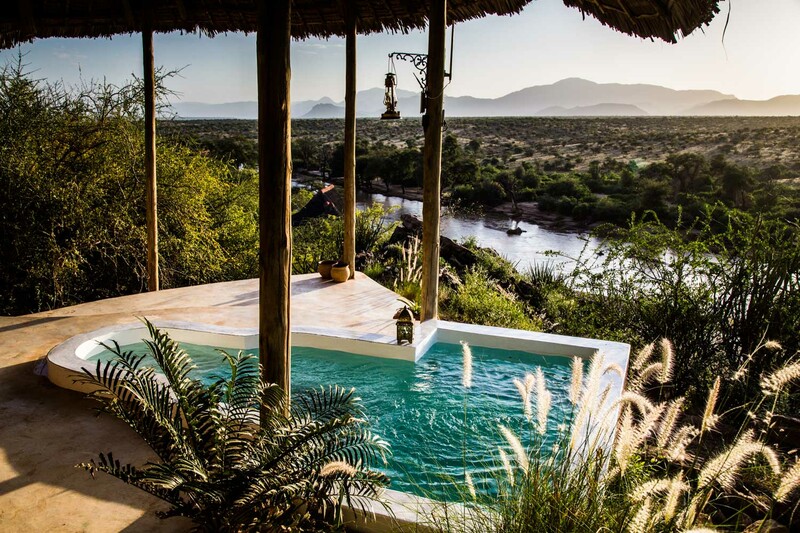 If that still doesn’t set the mood, the views overlooking the Ewaso Nyiro River at sunset certainly will. Take a helicopter safari, and get a peak at some of Africa’s truly unchartered territory. The couple who craves a little adventure. A true oasis, Royal Mansour will transport travelers from the hustle and bustle of Marrakech to a new state of mind upon entering the serene and brilliantly crafted riads. Marrakech is one of the oldest cities in the world and a top exotic destination to explore with the one you love. 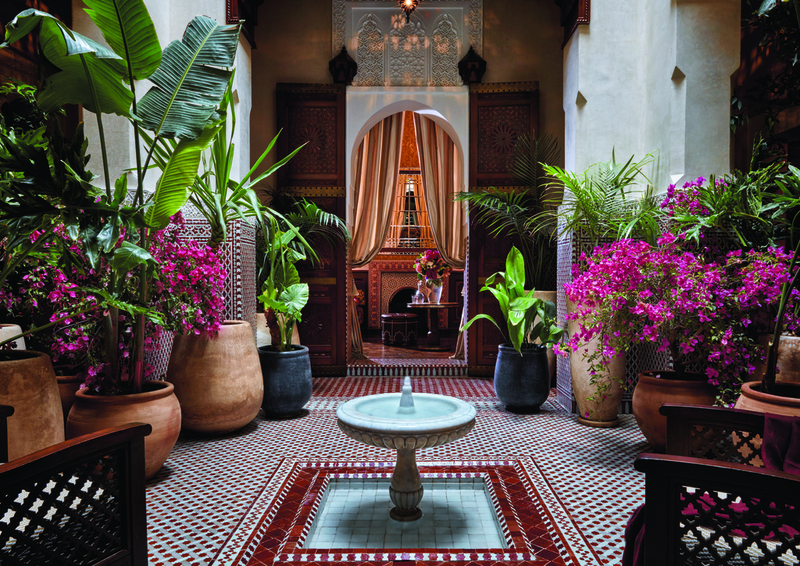 Get lost in the souks, enjoy a morning hammam together, or spend the day lounging in one of the many stunning gardens. Morocco is a hot destinations for shopping. Pick up a memento to commemorate your trip, and start your collection of travel keepsakes. The couple in search of something a little less mainstream. A real, live paradise, The Brando offers everything one could ask for from a honeymoon retreat. Luxurious accommodations, crystal clear water, white sand beaches, and exceptional service – we’re in! Beach front villas are the new overwater bungalows. 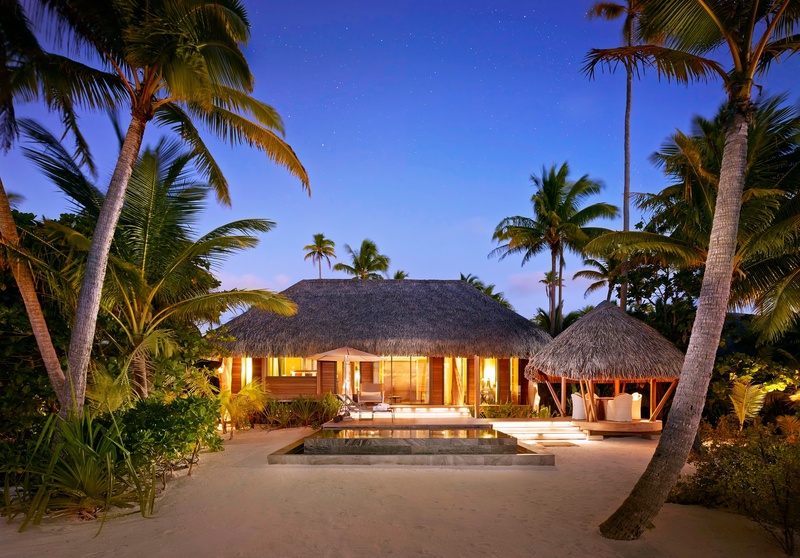 The Brando puts a low-key, back to nature spin on the traditionally upscale accommodations. The eco-friendly accommodations perfectly balance luxury in a natural, intimate setting. Enjoy an evening of fine dining at Les Mutines. Overseen by Michelin-starred chef, Guy Martin, the venue is a great spot for a romantic evening with stellar cuisine. The couple looking for sun, sand and luxury. Situated in the heart of Charleston, the location is only rivaled by the world class staff. And when you want to leave the hotel, you’re in the heart of one of the world’s best cities! 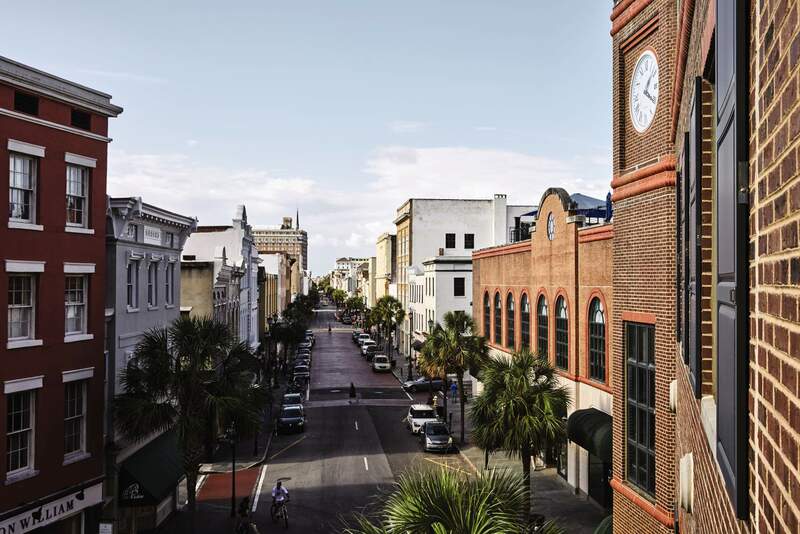 Charleston Place is steeped in Southern charm and hospitality. The relaxing city vibes are perfect for newlyweds who want to unwind, but still have a night or two on the town. Take in a Lowcountry sunset from the rooftop bar, The Clocktower Terrace. With drinks just as delicious as the view, you’ll be hard pressed to find a better seat in town. The couple who loves food & wine as much as they love each other. Connect with an Advisor to start planning your honeymoon!